The new year has just begun and we asked Dr. Joel Fuhrman, our favorite nutritarian, to help us get started with healthy plant-based eating habits to set the tone for the new year. 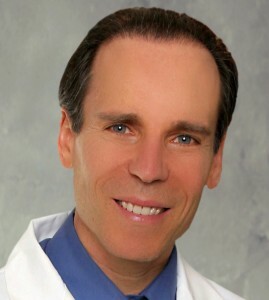 Dr. Joel Fuhrman is a best-selling author, nutritional researcher and board certified family physician specializing in nutritional medicine. Learn more by visiting his website at DrFuhrman.com and his blog at Diseaseproof.com. Follow Dr. Fuhrman on Facebook and Twitter. YP: The New Year is a time for resolutions for our good health and happiness. Dr. Fuhrman, you’re an expert on how “eating right” can help us to become healthier so we can become happier. Can you give us a few guidelines for healthful eating for this year and all the years ahead? Dr. Furhman: I summarize my core nutritional philosophy with the equation H = N/C, or Health = Nutrients/Calories. For you to be in excellent health, your diet must be rich in micronutrients (vitamins, minerals, antioxidants, and phytochemicals) and you must not overeat on calories – I call it a nutritarian diet. An eating style based on foods that are naturally rich in micronutrients and low in calories is the key to longevity and a healthy weight. The foods with the highest nutrient to calorie ratio are leafy green vegetables; a nutritarian diet is based on copious amounts of vegetables, especially green vegetables, and includes plenty of beans and fresh fruit, plus nuts and seeds daily. Because of their high micronutrient and fiber content, these foods help to blunt appetite and suppress food cravings; this eating style allows people to break out of the constant cycle of overeating that is so common because of the addictive foods that make up the standard American diet. When you make the commitment to a nutritarian lifestyle, you’ll never need to make another New Year’s resolution to eat more healthfully because this eating style changes your taste buds; you will prefer the taste of healthful foods and lose the desire for disease-causing foods. It takes months, but once you become a black belt nutritarian you’ll never have to worry about having a heart attack or a stroke and you’ll never need to make another New Year’s resolution to lose weight, because you will get in touch with your body’s true hunger signals, and desire only the amount of food that your body needs, no more. So instead of counting calories, let’s see how much nutrient-rich produce you can eat each day. Eating right sets you up with the proper biochemistry to boost your emotions and avoid depression too. YP: For all of us and our friends or relatives who are suffering from diabetes, your new book, The End of Diabetes, can be a lifesaver. Could you please share some key points from the book with the Yummy Plants community? Dr. Furhman: Instead of focusing on health-promoting foods and exercise, conventional treatment for type 1 and type 2 diabetes attempts to control dangerously high blood glucose with medication while allowing disease-causing dietary habits to continue. Patients are given a false sense of security; they think they are protected by the medication. Meanwhile the standard American diet progressively damages the cardiovascular system, eyes, kidneys, and other tissues, leading to devastating complications and a premature death. It doesn’t have to be this way. Diabetes patients need to know that there is another option: living a long and healthy life with superior nutrition and frequent exercise. No one has to have type 2 diabetes or suffer from its tragic complications; it is a preventable and reversible disease, whose primary risk factor is excess body fat. If you have type 2 diabetes, you can become non-diabetic with the proper lifestyle measures; in my experience, the vast majority of my type 2 diabetic patients have their diabetes melt away rapidly, often before they have lost all of their excess weight. Type 1 diabetes is not caused by excess fat, but if you have type 1 diabetes, you can eliminate the excessive blood glucose highs and lows and prevent dangerous complications with a nutritarian lifestyle. Women with gestational diabetes can reverse their disease, have a healthy pregnancy and prevent type 2 diabetes later in life. The dietary program described in The End of Diabetes is designed to maximize nutrient per calorie density while minimizing glycemic effects. With this program, both type 1 and type 2 diabetics can maintain excellent health and quality of life into old age. YP: For our community members who are “sizing up” into middle age and wanting to make changes to a plant-based diet, is it too late to reverse the damage caused by many years of unhealthy eating? Dr. Furhman: No; as long as you are still alive, it is not too late to improve your health! Damage from dietary excess does accumulate over time, but the human body is a miraculous self-healing machine; and all you have to do to unleash this power is give it the proper fuel. Of course, it would be ideal to start eating for optimal health right from the beginning, but I have seen people recover from heart disease, diabetes, and other serious diseases in their 60s, 70s, and even 80s by switching to a nutritarian lifestyle. Taking proper care of our health simply gives us a more pleasurable and less stressful life. The time to change is now. If we keep our bodies healthy with excellent nutrition and exercise, we can enjoy active and vibrant lives into old age. YP: What are some of the best ways to transition into a plant-based way of life? Dr. Furhman: Some people prefer dive head first into their new eating style, whereas for others, change can be very intimidating, and a gradual approach is appropriate. For example, in my book in Eat to Live, I invite readers to start off with my six-week plan for rapid weight loss; in contrast, in Eat for Health, I offer three levels of healthful eating, so that people can ease the emotional shock of the change. They can start with level one, and either choose to stay there or further improve their diet to levels two and three. The idea of never eating a favorite (but disease-causing) food again can be enough to make give up before they start. A first step could be to add a large salad at the beginning of lunch and dinner daily, without giving up anything. Next, make a big pot of veggie-bean soup on the weekend that you can use all week. Then the important thing is to keep making further improvements. Eventually, eating more high-nutrient foods will blunt the desire for low-nutrient foods, and soon the person will lose interest in the low-nutrient foods they initially thought they couldn’t live without. Why not avoid heart attacks? Why not avoid cancer? Making the healthiest foods taste great is fun and the only way to live a long, pleasurable life. YP: Are there any specific foods we should begin rotating into our diets right away? Dr. Fuhrman: If you are brand new to high-nutrient eating, the most important foods to remember are G-BOMBS: greens, beans, onions, mushrooms, berries and seeds. These are high-nutrient foods with an abundance of scientific studies to back up their powerful health benefits. Incorporate these foods daily, and make them a significant proportion of your diet – these foods are extremely effective at preventing chronic disease and cancers and promoting health and longevity. YP: For those of us who are habitual snackers, are there any healthy snack foods we should be eating? Dr. Fuhrman: First of all, junk food and processed foods, are highly addicting and kill people. Choose what you put in your mouth wisely at all times. Food should not be classified as snack food, because wholesome food does not have a time clock attached. Nevertheless, it is best to eliminate snacking, if that means recreationally eating when you are not hungry. Plus, after the body has finished digesting food, it diverts its efforts toward beneficial detoxification processes; snacking between meals keeps us in a constant state of digestion, and we can miss out on these detoxification benefits. Another important point is that in order to reach our ideal weight, we need to get back in touch with our bodies’ true hunger signals. Most Americans don’t know what true hunger feels like; they eat a toxic diet that causes withdrawal symptoms, they are caught in an endless cycle of eating too much and too often. For most people, true hunger will not occur more than 3-4 times a day. Some people eat all day long and their snacking leads to over-consuming calories. YP: You are an expert on food micronutrients as a key to good health. What are some examples of micronutrients, and why do we need them? Dr. Fuhrman: The human body evolved to depend on a variety of plant-derived micronutrients (vitamins, minerals, and phytochemicals) to carry out its normal cellular functions. Vitamins and minerals work all over the body in important chemical reactions, and some provide antioxidant support; minerals have some additional functions like providing structural support, regulating fluid balance, and aiding in the production of hormones, DNA, and other substances. Research in recent years has uncovered important health benefits of additional plant-derived compounds that do not fit under the category of vitamins or minerals – we call these phytochemicals. For example, the carotenoids lutein and zeaxanthin from leafy greens promote healthy vision, sulforaphane from broccoli turns on our body’s natural detoxification enzymes, countless phytochemicals have antioxidant activity, and flavonoid antioxidants act on cellular signals and even affect gene expression. Whole plant foods are packed with combinations of vitamins, minerals and phytochemicals that work synergistically to protect our health. We haven’t yet discovered all of these phytochemicals, but the critical health benefits of those we have discovered are becoming more apparent. YP: Many of us delight in a glass of wine now and then. Does wine fit into a healthy diet? Dr. Fuhrman: A glass now and then or even missing a few hours of sleep now and then is tolerable if not done regularly. The issue here is the link between regular alcohol consumption and breast cancer and other cancers. Women who had one glass of wine a day had an increased incidence of breast cancer of more than 10 percent. One glass of wine, once or twice per week is likely safe, but I advise against higher levels of alcohol consumption to minimize the potential risks. YP: Dr. Fuhrman, thank you for sharing your expertise with the Yummy Plants Community. We’re looking forward to reading your new book, The End of Diabetes. Happy New Year!